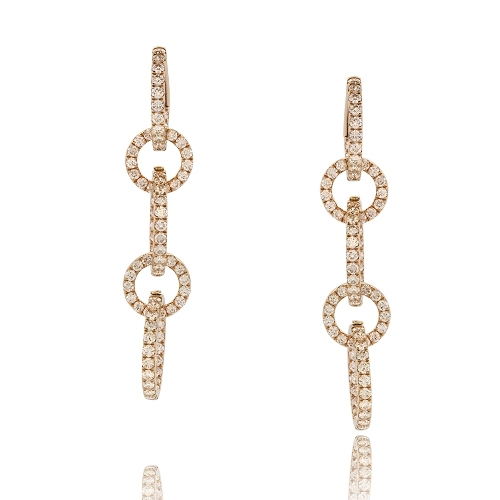 Dangle Earrings composed of interlocking loops of 18kt rose gold encrusted with diamonds. Diamonds approx. 3.91ct. Earrings 2"